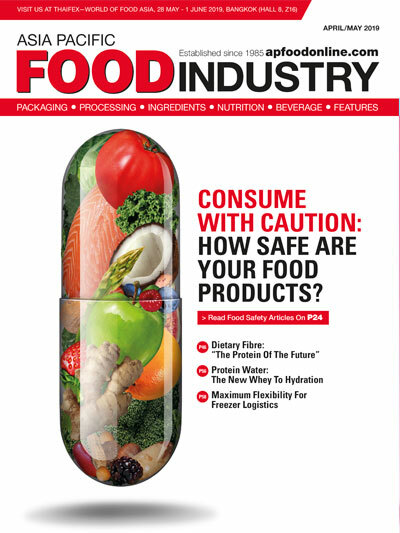 Consumers, retailers and legislators are applying more pressure on manufacturers to prevent any form of product contamination. For companies who want to protect their brand, investment in an x-ray machine makes sense, especially with the versatility it provides. By Mitesh Parmar, x-ray product manager EMEA, Ishida Europe. Today’s consumers have high quality standards. 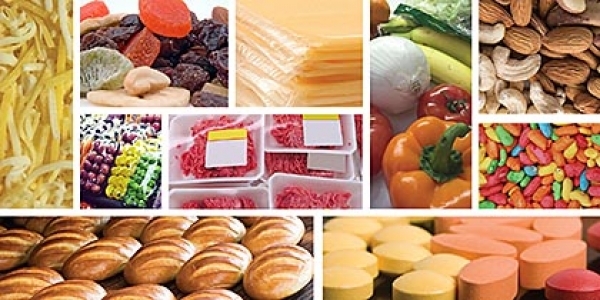 Retailers have rigorous procedures in place to deliver these, and legislation often demands that food businesses take reasonable steps to avoid any type of product contamination. Foreign bodies in food products can lead to a variety of outcomes among consumers, everything from mild disapproval to health hazards. The first can sometimes generate a complaint, the second possibly even legal action. In the worst-case scenarios, these can have severe financial implications for a company. Even if a contaminated or damaged item is spotted before it reaches the consumer, the cost of a product recall from the retailer, not to mention the likelihood of a retailer fine, can be immense. And underlying all these pitfalls is the damage that they can cause to a company’s or brand’s reputation— which can take a long while to build up but only a moment to dismantle. Companies are therefore increasingly taking a pro-active approach to quality control, putting in place systems that ensure that any potential quality or safety issues are swiftly identified and dealt with before goods leave the factory. In this scenario, investing in a suitable X-ray system can be seen to make a lot of sense. 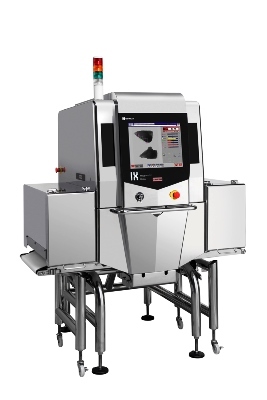 X-ray inspection offers huge flexibility and versatility in terms of its inspection capabilities, picking up inconsistencies in materials, in a pack, or in a flow of product passing a given point. It can detect pieces of bone, stone and glass and metals such as iron and stainless steel, as well as dense plastics. The minimum size of particle that can be detected varies from one material to another, depending on the size, density, shape and the type of packaging or product, and the precise capabilities of the x-ray system. One of the most important advantages of an X-ray’s versatility is that, unlike metal detectors, machines can also detect a full range of inconsistencies and foreign bodies in products packed in foil or metallised film. Another benefit of the technology is that X-ray systems can work undeterred in even the harshest of environments, such as humid and wet atmospheres and extreme hot and cold temperatures. However, product quality can be far more than just foreign bodies in packs. Poor presentation, non-uniform product or incomplete packs can be equally damaging to brand reputation. X-ray systems are capable of detecting many other inconsistencies. 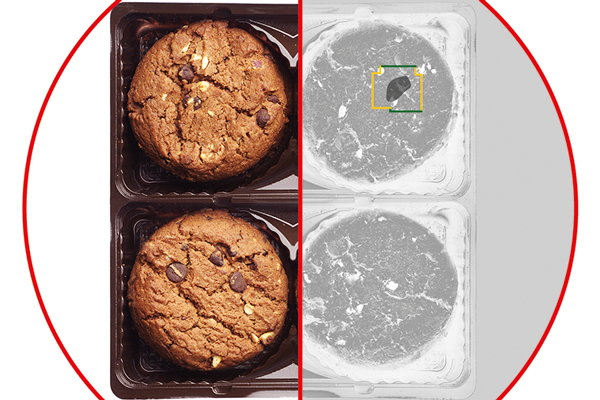 The technology can identify voids and broken, undersized or missing items in packs, be that six biscuit bars instead of seven or a number of chocolate bars with one missing. 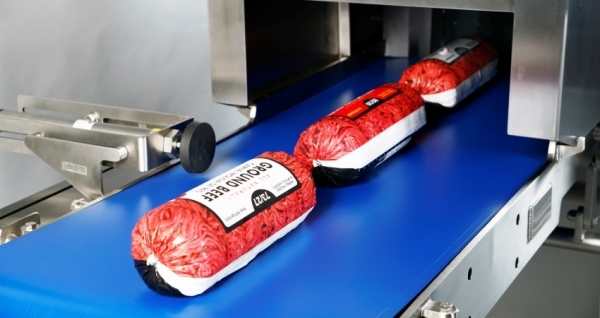 It can also spot deformed products, like a beef burger that has not been formed properly, or packaging such as product in seals. Under-filled compartments in ready meals, product with cracks, grains stuck together in powdered products, and missing metal clips are further examples of imperfections that can also be detected. 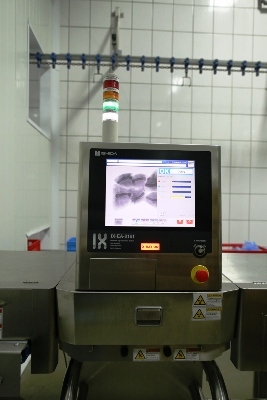 In addition, X-ray inspection can perform a number of other functions, such as weight estimation and checking the presence of bottle caps and fill levels. These further widen a company’s ability to implement effective quality control. 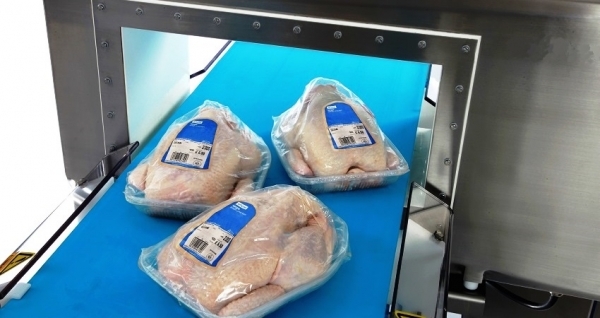 This high level of quality control extends to an X-ray’s ability to offer full traceability. For example, in the event of a complaint, enterprise resource planning (ERP) or other data systems linked to X-ray inspection can enable retrieval of the X-ray image of a particular pack, establishing beyond doubt whether it contained a foreign body or showed quality issues such as a missing item. It is also very useful for false claims as the system can capture every single image. X-ray works by shining a beam through the item to be inspected. 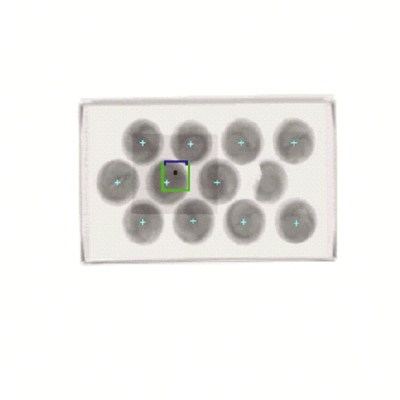 A photodiode array on the other side of the item picks up the radiation that goes through. The photodiodes give out a voltage/signal depending on the level of x-ray that they detect which is then converted into a greyscale image that can be easily saved. If contaminants are present which are denser than the product, these will show up as darker patches, where less x-ray radiation was able to get through. Voids and fissures will show up as lighter patches, as more radiation is able to penetrate. The system can be set to automatically reject items that have either type of defect. Choosing the best x-ray system will depend on the requirements of each company and its customers, but in terms of consistency of detection, the right level of sensitivity is essential. Companies, therefore, need to set levels (minimum particle sizes) for the foreign bodies that they most need to guard against. At the same time, there is no need to specify a machine with many sophisticated features that add capability that a company will never use. 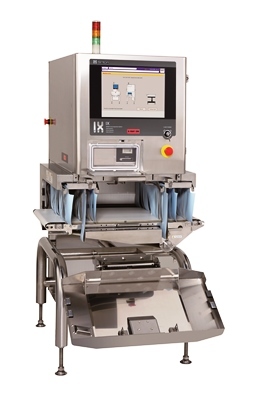 Machines that have the ability to vary their kV and mA control the photons passing through the product, providing a clearer difference between the product and the foreign body. Imagine taking a photo with a bright flash. Too much light gives over exposure, whereas the correct level of light will give a sharp image. This feature is especially useful when looking for low dense items. Even the most basic models often go beyond simple detection, and offer features such as product masking (the ability to apply full sensitivity to areas under investigation while ‘ignoring’ items that form part of the packaging, such as clips and ties). Since operator time is an important cost factor, it is equally essential that the chosen x-ray system is user friendly. Companies using their x-ray for traceability also need to ensure it can interact readily with their own data resource systems. 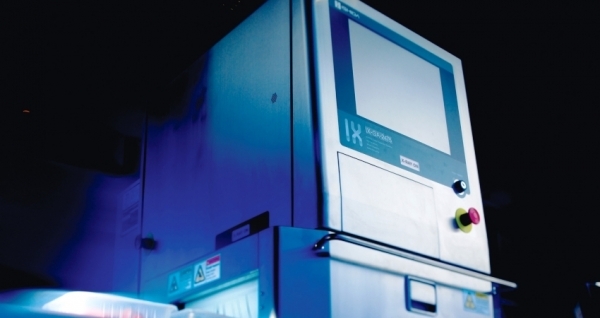 Systems that offer fast start-ups and alterable sensitivity settings while the machine is running help to minimise downtime and increase efficiency. X-ray systems are extremely versatile in terms of their capabilities and the different levels of quality monitoring and inspection that they offer. Tailoring a system to the precise requirements of a company will help protect its reputation and its brand.